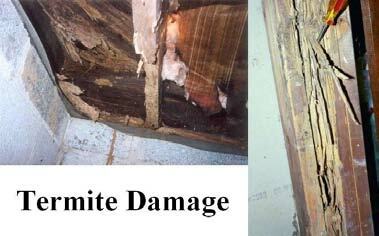 A Uniondale, NY home inspection is not complete without a termite and other wood destroying insect inspection. With the warm weather , termites are more active. These little guys can cause a lot of damage to the structure of a home, which could cost you hundreds or even thousands of dollars in repair. They love warm moist conditions. So be on the lookout for roof and plumbing leaks. Also, any wood and siding in contact with dirt or the ground are ideal conditions for them as a food source. There are a lot of reasons for a Uniondale, NY Insect Inspection. If that's not bad enough, there is another major threat to your house. What is it? It is the enemy of the termites. It is the carpenter ants. In nature, they are fierce enemies, like cats and dogs. They too are very active in the spring and summer months. Some experts say that carpenter ants cause more damage to a home than termites! 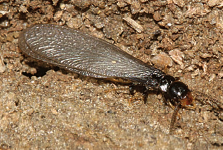 With the arrival of spring, termites and carpenter ants start new colonies. These colonies can number into the thousands. Their food are the wood members of the house including floor joists, beams, as well as wood moulding. On the outside the wood appears fine, but on the inside it is hollow and weak due to the tunnels they make. This will make the structural support weak, which could cause walls, floors, and ceilings to sag or worse collapse. extra money and time, but you will be glad you did. I am not sure what you mean, or what this has to do with termite inspections. Find NY real estate agents and Uniondale real estate on ActiveRain.